Want to find out who is working on invasive Phragmites in your community? Just look below. AND/OR do you want to help people find you and your community and add to your volunteers and resources and promote your cut. If so, just email Communications. OR If you want to volunteer, and don't know how or where or what to do, email Communications. 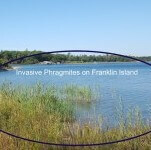 Return to invasive Phragmites homepage to learn more about this plant and ways to tackle it. Ray Boots: To find out how you can help this summer. Please email ray.g.boots@gmail.comRay is part of the Twelve Mil Bay Association. Frank Pointner: To find out how you can help this summer. Please email wfpointner@hotmail.com Frank is part of the Bayfield-Nares Islanders' Association and more. Michael Dewson: To find out how you can help this summer. Please email michaeldewson@icloud.com Michael is part of the Bay of Islands Community Association. . Rob Moos: To find out how you can help this summer. 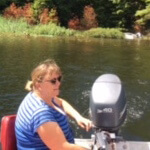 Please email Robert.moos@sympatico.ca Rob is part of the Blackstone Lake Cottagers Association. .
Susan DiGravio: Susan fought against Phrag last year in Woods Bay and the Park. If you are in Blackstone and concerned about this invasive, please email Sue to join her in Phragbusting. Sandy Thompson, and students Patrick Mahon and Jack Giroux : To help, or if you have questions, please email Jack or Sam or Sandy. 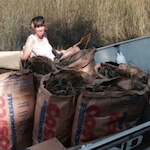 Vicky Boyd Working with NVCA and GBF and BMWT more that 15 metric tons of Phrag have been removed from Collingwood's shorelines! To volunteer for some cuts, please email vboyd@nvca.on.ca. Tom Denune and Peter Andras:To help this summer please email Tom or Peter at tdenune2@gmail.com or pandras@ics.on.ca. 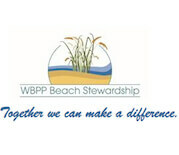 The Park coordinates beach and shoreline stewardshipactivities . . 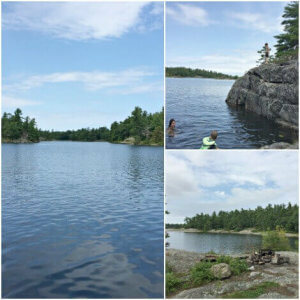 If you are interested in this area, please contact the Park at Patricia.L.Davidson@ontario.ca. 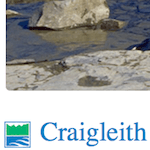 Phragmites Education and Management Committee: This Committee has representation from a number of Cottage Associations. Here is a link that lists who is on their committee that might be part of your community. 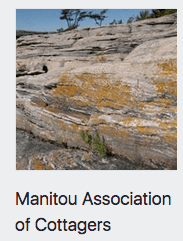 Click herefor the Committee mandate and a number of interesting articles are listed on their site. Kelly Killoran: Please contact Kelly at email Kelly to join the fight. 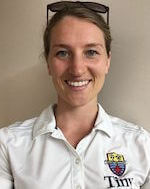 Kelly Killoran is the President of the Madawaska Club of Go Home Bay. Kathryn Davis: Kathryn has been leading the charge against invasive Phragmites in Honey Harbour for years, and is joined by 2 students! To help, or if you have questions, please email Katelyn Nowocin or Conor Sweetnam or Kathryn to join the fight. Kelly Killoran: Please contact Kelly at email Kelly to join the 2017 fight. 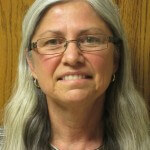 Kelly Killoran is the President of the Madawaska Club of Go Home Bay. Tom Pinkham: To find out how you can help, email Tom.Pinkham@gwlra.com. 4 volunteer cuts this summer: With Park permission, we are executing 4 cuts. To find out how you can help, email heather.sargeant@gbf.org. 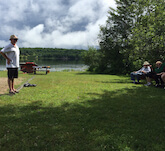 Tom and Sharon Scanlan :Tom and Sharon are members of the Mill Lake Guardians' Association This first year, they will be learning about Phragmites to identify if any threaten Mill Lake. Please email Tom or Sharon to learn more about it. Peter AdamsTo help this summer please email Peter at p.adams36@gmail.com. He is a member of the South Channel Association . 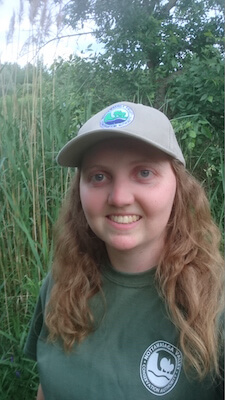 Tamara Brincat : Tamara Brincat is helping volunteers on Tay coasts organize and manage Phragmites. Please email brincat.tamara@yahoo.com. The Township of Tay fights Phragmites on a number of front. Maggie Off:The Township of Tiny Community Engagement Leader. To find out how you can help, email moff@tiny.ca. 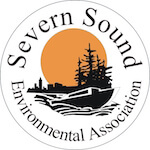 Severn Sound Environmental Association (SSEA):To find out how you can help, email sseastudent@midland.ca. Lynn Short: Lynn has been fighting Phrag for a long time. 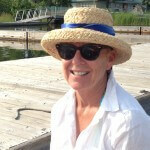 Please email Lynn if you would like to learn what you can do in Tiny or Wymbolwood Beach.